On Holiday with Cerys Matthews. This week we were lucky enough to photograph Cerys Matthews, musician, radio presenter and ex lead singer of Welsh Rock band, Catatonia. We were commissioned to photograph Cerys and her friends on a barge holiday in North Wales. The job was to shoot in a documentary style, to try to get some natural photographs of the group just having a bit of fun on a weekend away. We arrived quite early to find them making breakfast on the banks of the canal, the day was very chilled and everyone had fun, finishing with a welcome pint at the local pub! We were commissioned to photograph American Music Legend Quincy Delight Jones Jr recently. He was receiving a fellowship degree and giving a Q and A session at the Royal Welsh College of Music and Drama and is best known for producing the Michael Jackson Album ‘Thriller”, “Of The Wall” and “Bad”, as well as working with Frank Sinatra amongst others. 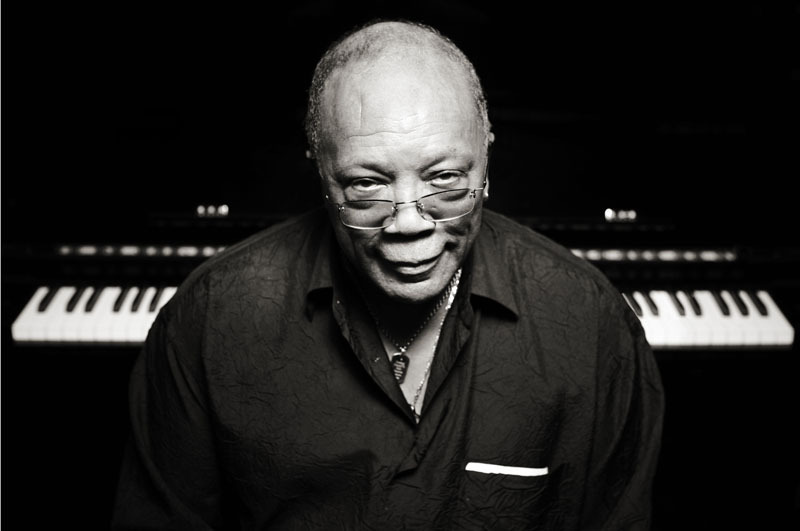 The aim was to maximise the clients relationship with Quincy Jones, by getting as much media coverage from his visit as possible. We were brought on board with our contacts and relationships with the national press with the brief to shoot a suitable image which we could then sell into the national newspapers. We wanted to capture an image that reflected his true character as well as his jazz background and music pedigree. From experience from similar shoots, we knew we’d have very little time with the star. The shot had to be set up before hand to maximise our time taking photographs, and we captured this portrait in under a minute. The photo ran in national papers the next day as well as the front page of the regional paper which secured the client the prestigious national coverage they desired. After it was published the phone didn’t stop ringing from international agencies wanting to syndicate/buy it.